We are still overcome with grief and heartbreak at the unconscionable act of terror during morning prayers at the #TreeOfLifeSynagogue in PittsburghWe are sending our love and strength to the families, the entire Pittsburgh Jewish community, May their memories be a blessing. This is a moment when we are all called — Jews and allies — to gather together in community, to mourn, to share our sadness and our outrage. Tonight at vigils across the country, Jewish communities and allies will light Havdallah candles and mark the end of Shabbat. This is also a moment when we must call on all Americans of conscience to see with clear eyes that the political violence targeting our communities, driven by antisemitism and racism, has become normalized in our social and political life. Today’s attack comes after weeks of escalated conspiracy theories and rhetoric scapegoating Jewish people, including philanthropist George Soros, which have been driven by candidates for office, the Republican Party, and the President in campaign ads and rallies. These expressions of hate are not new in our society, but now they are legitimized by a powerful platform. The mainstreaming of white nationalism in American politics means that our nation is ripe for the violence we've witnessed today and throughout the Trump presidency. This charged environment is directed not only against Jews, but also against immigrants, Muslim people, people of color, LGBTQ people, and all other communities under threat in this political environment. Today, we saw these trends culminate and our worst fears realized. This violence must end. Americans, Jewish and otherwise, must no longer be forced to live in fear for their lives. And we must unite to build a country where we are all safe and protected. Firstly, many American Jews (including myself) feel that the justice movement hasn't stood in solidarity with us. 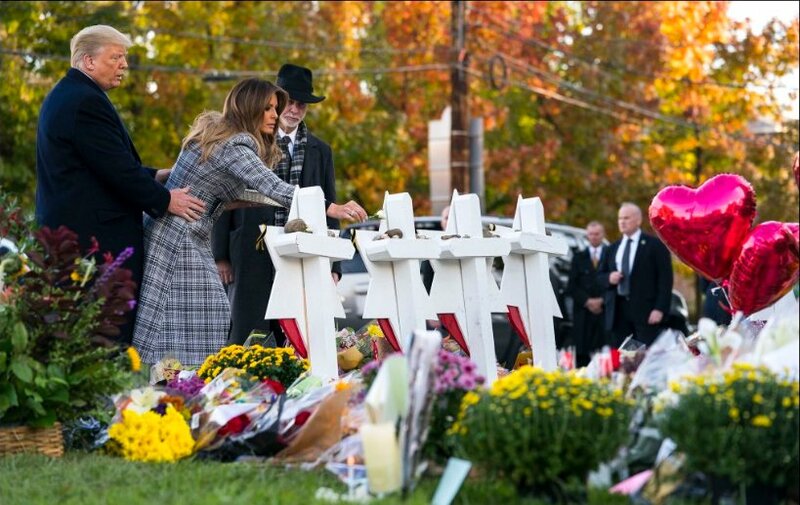 While hate crimes against us have surged, we haven't seen an outpouring of support Many American Jews feel that threats to us weren't taken seriously. We see that in particular with the Women's March and it's leadership. There is the fact that three of the leaders have relationships with Farrakhan, and the fact that the organization hasn't specified anti-semitism as a systemic problem worth fighting. 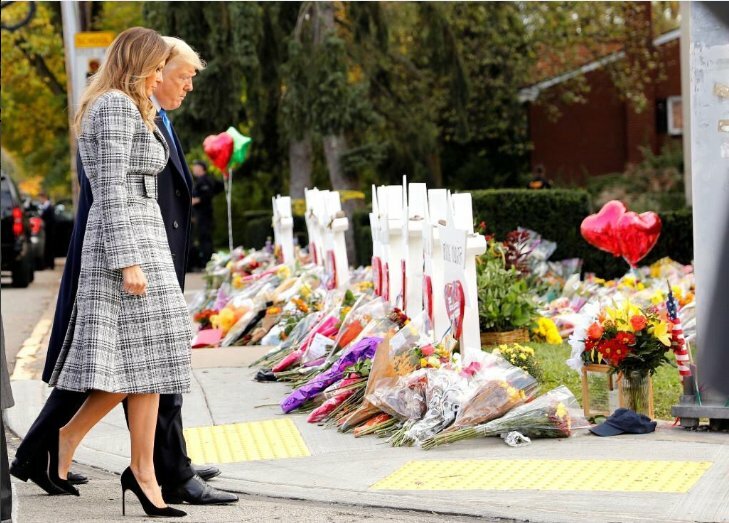 THREAD: After the #TreeOfLifeSynagogue #shooting, the #KrogerShooting before that, and the +14 bombs sent by the #MAGABomber, it's crucial that we call #RightWingTerrorism out for what it is, but we also clearly need to talk about #WhiteSupremacy in the 2018 election. Let's be clear: #POC running for elected office have ALWAYS faced hurdles to victory defined by the strength of #StructuralRacism and our country's long-standing culture of #WhiteSupremacy. But 2018 has taken it to a new level. A few thoughts and invitations for non-Jewish friends and comrades regarding the massacre in the #TreeOfLifeSynagogue in #Pittsburgh. #PittsburghShooting. Please note that I intend all of this gently, and do not think all of it is entirely fleshed out, but it feels important to add these few thoughts now, as the discourse unfolds. 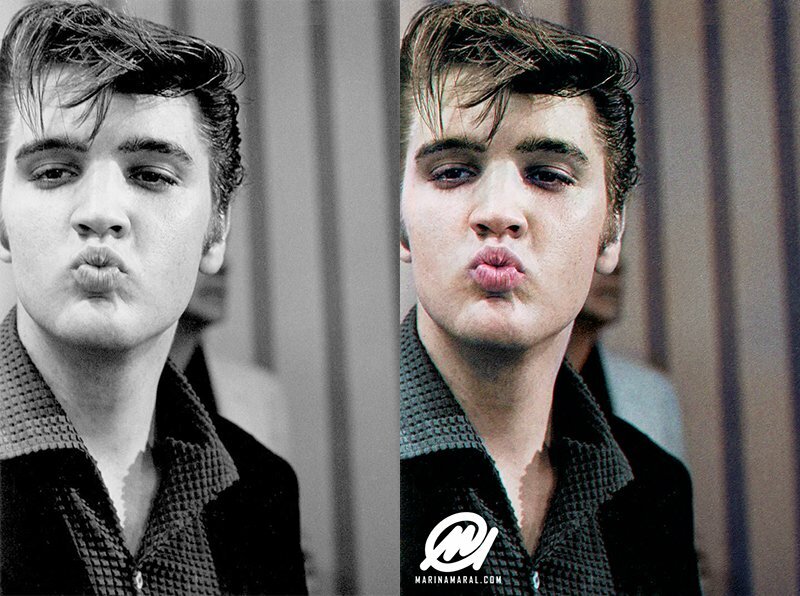 Elvis Presley died 41 years ago today. Regarded as one of the most significant cultural icons of the 20th century, Elvis is often referred to as the "King of Rock and Roll" or simply "the King". 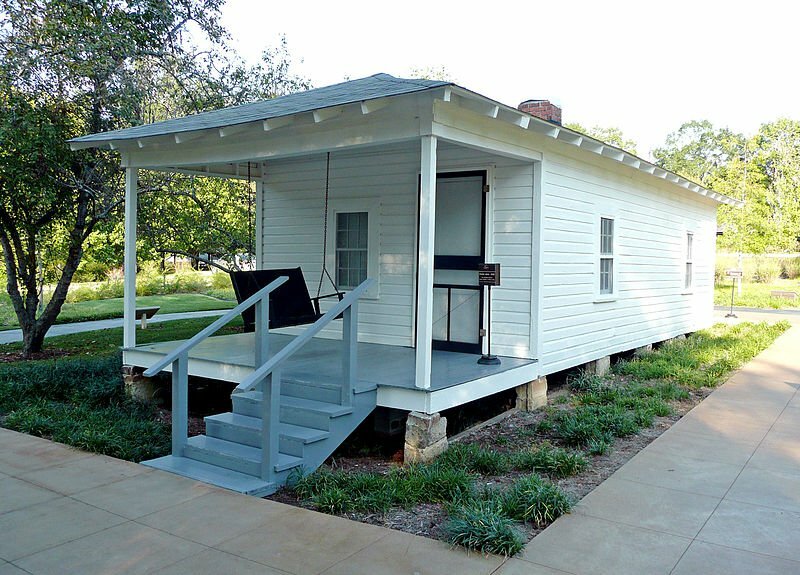 Elvis Presley was born on January 8, 1935, in Tupelo, Mississippi, to Gladys Love Presley in the two-room shotgun house built by his father, Vernon Elvis Presley, in preparation for the birth. Jesse Garon Presley, his identical twin brother, was delivered 35 minutes before him.